Satisfied is how i feel right now. When i go a layer deeper than my mind’s quick assessment, I experience, here in my seat, a cell tingling, spacious fountain of life flowing, lingering zing of hummingbird in spirals of ears, fresh earth pushing up under nails, expanding feet serving squatting tail of kangaroo as I gaze at the freshly weeded garden and the growing green ones freed of buttercup’s gallant attempt to invade their growing space. Two hours in the rain, removing the deeply rooted, tenacious species of buttercup from taking over Paradise, has delivered me into a satisfaction that is visceral, mindful and meaningful. A young woman was staying with me in the fall, and after a day of harvesting apples and pears, while we shared dinner from the garden, she said “I don’t think I’ve ever felt so satisfied in my body.” We both shared how earlier in our lives, either in school fitness class or gyms, and even in other wonderful and nourishing movement and embodied practices, this particular felt sense of satisfaction had alluded us. Something about collaborating with the earth herself in co-creating nourishing food, and the physical experience of engaging the movement of life for this purpose, had delivered us into this deep felt sense of contentment and satisfaction. Both of us meditators, also agreed that we experienced more ease in landing into our daily practice. The mind satisfied through the embodiment of our time moving with the green ones offered us a solid place to land, without the usual fidgets of a body whose “need barrel” had gone untended in the minds increasing capacity to drag humans through a day without being engaged with the natural world in both receptively listening and tangibly creative ways. Years ago, one of my teachers once encouraged me to take at least an hour outside in nature once a day to balance my work in the bookstore, Yoga studio, and a generally inside orientation to my days. If we don’t, she said, we cannot call ourselves “human.” Imagine!! Having to be told to expand my perceptions and include the natural world! And, why would we refuse to be ourselves? These buttercup roots are like the beliefs, perceptions and general tonal of an invasive culture that then sends out shoots into every aspect of life, kidnapping the young verdant ones, attempting to listen to and hearing a distant call to be beneficial, life supporting and a part of creation. In my experience, meaning follows experience. In our culture we put the cart before the horse and give meaning without experience. In creating Question Everything, a deck of inquiry, the process unfolded in just this way. 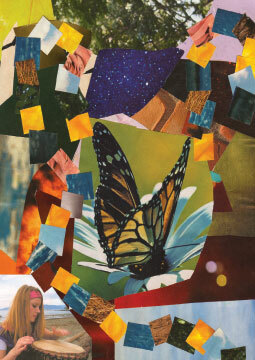 First the images came out of the young women’s inquiry to collage images of what was alluring or calling them at that moment in time – when they were 13 – 17 years of age. The questions came after their first year of university, when I found the collages and we decided to create a deck of cards with them. The questions came after sitting with the images and free associating together and then dream weaving a question we all could agree with. The year between when we leave high school and enter the next phase of our journey can be a tumultuous one for sure! Buttercup ideas abound!! Listening to what has heart and meaning for us over what our parents, the culture, or our peers are oriented towards is challenging. To listen to our direct experience in all it’s facets – felt sense, thoughts, longings, interests, and unique callings is a learned experience. We need models – nature is the perfect one! 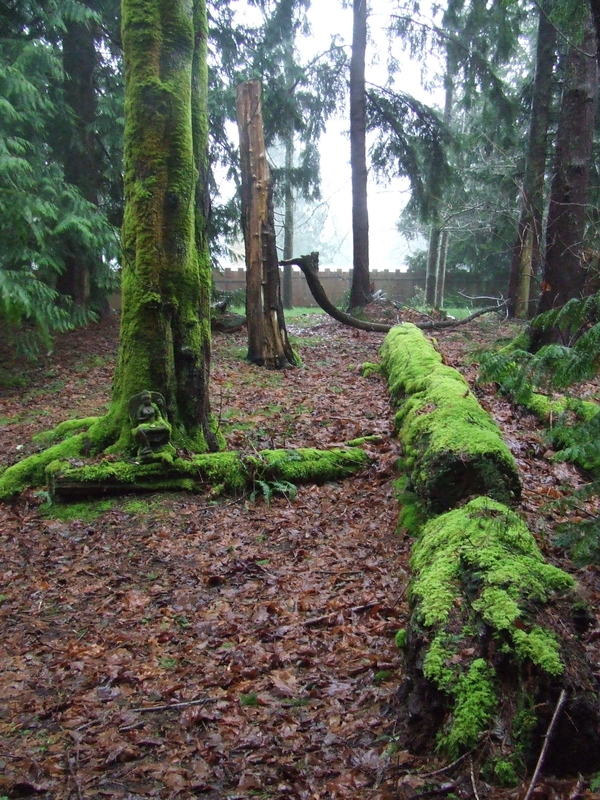 Being with the green ones offers a mirror of the dreaming earth in all her facets. The diversity offers up endless possibilities for being. We feel ourselves in the heart of something large, embraced in the web of a vast dreaming and immersed in the direct experience of belonging. I vote for a year off in nature after high school to listen, move and breath in the central part of a giant leafy green shoot, more commonly known as earth. What would we become with this kind of perceptual education?? Better still, let’s include the green ones in our “curriculum” from the day we arrive. Experience first. Meaning? – well, in it’s own sweet time! 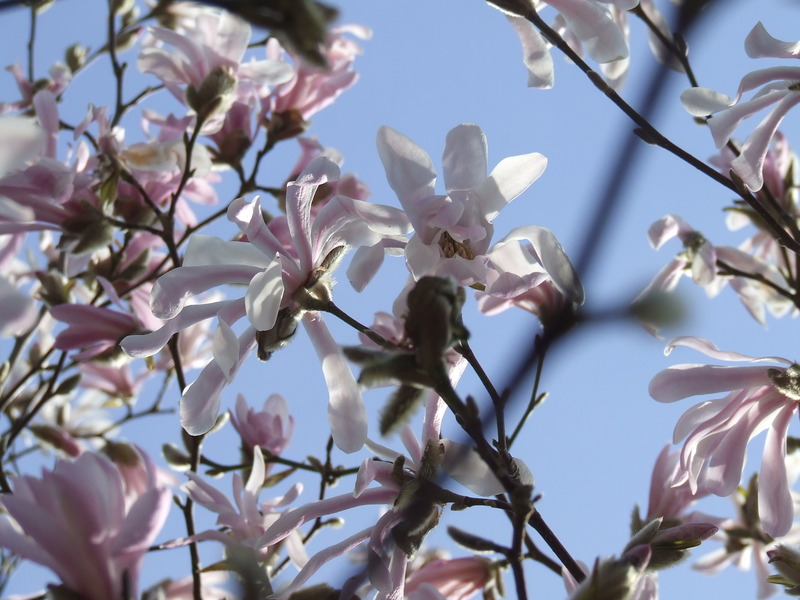 As I walked in the garden this morning and witnessed the Star Magnolia’s in bloom i find this deeply grounded and at the same time highly operatic sound coming through my vibrating throat. sounding exultedly into the morning air. – as if the blooming of the flowers themselves called the tissue of my vocal cords to vibrate in resonance with their song of spring. That bursting pink blossoms could spontaneously ignite a flamboyant and exuberant song to spring from my being, was both surprising and sensual, challenging and exciting, mysterious and magical. I didn’t even look to see if anyone was listening as this unrestrained ode to magnolia’s arrived from the sheer joy of beholding nature’s exuberance. I smiled as I knew the inner song critic was no where to be found. My father used to yell “be quiet, and turn that thing off!” from the bedroom next door as I belted out some Helen Reddy song, singing “back up” with the clock radio when i was supposed to be courting dreamland. We lived on the St. Lawrence River in Ontario and through some miracle I could hear the radio station from across the river in some US city, through the fuzz and static of about five other local stations. The station always seemed to play my favorite songs, so i would filter out the buzz and crackling, and focus my ear on the song i wanted to sing way off in the background. And then, well ….. I’d roar! I know my father was not trying to squash my budding songstress, and more than likely just wanted to get some sleep. I did however, realize upon singing in the school chorus, that perhaps i was not suited for a professional career in this form of expression. I gradually let the singing part of me go dormant after high school. Not consciously I’m sure, she just fell away in my attention to other details of life. In my early twenties I realized I really didn’t sing at all anymore, not even to my favorite songs on the radio. In my late twenties I picked up my inner songstress driving my stepson Sean to school in the morning. He loved singing and it brought my dry, crackling vocal strings out to play. My first Yoga teacher, Sandra Sammartino, used to say “your body loves the sound of your own voice.” I was skeptical at first, but upon exploring sound I experienced the truth and medicine of her words. And now some twenty plus years later sounding is a daily inquiry I relish and revere. In the Four Fold Way by Angeles Arrien, published in 1993, Angeles explores cross-cultural relations and how indigenous wisdoms are relevant to our families, professional lives, and our relationship with the Earth. (www.angelesarrien.com) Angeles tracks four archetypes which most shamanic traditions draw on in order to live in alignment with our environment and our inner nature. Each archetype has a “healing salve” to tap into and receive the medicine of it’s power. You guessed it – singing is one!! “When did you stop singing?” is the question of inquiry for the Visionary archetype. Angeles reminds us “all cultures bring voice into the world through the healing salve of singing.” and further, “Oceanic societies believe that if you want to know how to tell the truth, begin to sing.” Perhaps our politicians should start a choir!! But I digress. 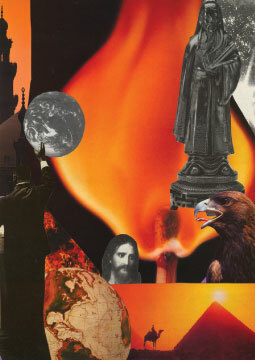 We felt this question served one of the collages by Lydia Hol. During her teen years Lydia secretly took singing lessons, not even telling her closest friends. At the Teen Circles, I always encouraged the girls to share poetry and their creative gifts with us, however Lydia kept her secret quiet. One day, when Lydia was just graduating high school she called and asked if she could come for dinner. I had never really entertained the girls in my home, and was a bit startled by her request, but thought she was now an adult and perhaps it was important for her, and our changing relationship. We enjoyed dinner and heard of Lydia’s plans for university. After dinner, Lydia suddenly said “I know I didn’t bring flowers or wine, but I’m wondering if i could sing you a song?” John and i looked at each other, and immediately nodded and said “yes, of course!” She went to her car and returned with a guitar case in hand. The three of us moved into the living room, where John and I sat on the couch. Lydia went to the other side of the room and then said “you can’t actually look at me while I’m singing, so would you please look somewhere else.” We complied with her request and I remember gazing at a statue of a Balinese dakini carving we have, while Lydia began to strum her guitar and sing. John and I were stunned by the beauty and unique quality of Lydia’s voice, and she agreed to sing another song while we continued to gaze at the Balinese dancer in the corner. On reflection, Lydia says this was the first time outside her family she had felt there was a “safe space” to test the waters of her voice. From our living room she went on to open mic nights at The Wired Monk on 4th Avenue in Vancouver. Here, she says, she had the “worst night of her life.” She invited only her brother and one other friend. She signed up for the roster of singers and was the very last one to perform. She said she sang a Carol King song with her djembe and that it was “so bad, so very awful in every way” that she cried for days after. She remembers sweating and not being able catch a breath, but that somehow after a little time had passed and hearing that the most successful people are the people who keep getting back up after falling down, she tried again. Last year Lydia launched her first CD entitled “Boats.” Last month Lydia went “on tour” by train to the East Coast. She discovered that musicians can travel for free by playing their music for passengers in the Social Bar of the train. From Montreal to Halifax Lydia sang without a mic, struggling to be heard over the sound of the train, but sing she did!! On the east coast she found a receptive audience for her sea faring songs, as she sang in clubs and living rooms. And, to quote from her website, “when performing her own material, the gifted raconteur likes to be at the very front of the stage, meeting her audience eye-to-eye. No boundaries, no barriers.” A dakini in her own rite now, John and I loved her live launch of Boats, (all songs she wrote) where we got to both hear and see her. I stood silent waiting to see if she would continue. “It was three years ago.” she said, and then, “thank you,” she said, “I know what I am going to do on the way home.” she laughed. That’s Lydia in the bottom left hand corner with her djembe.! 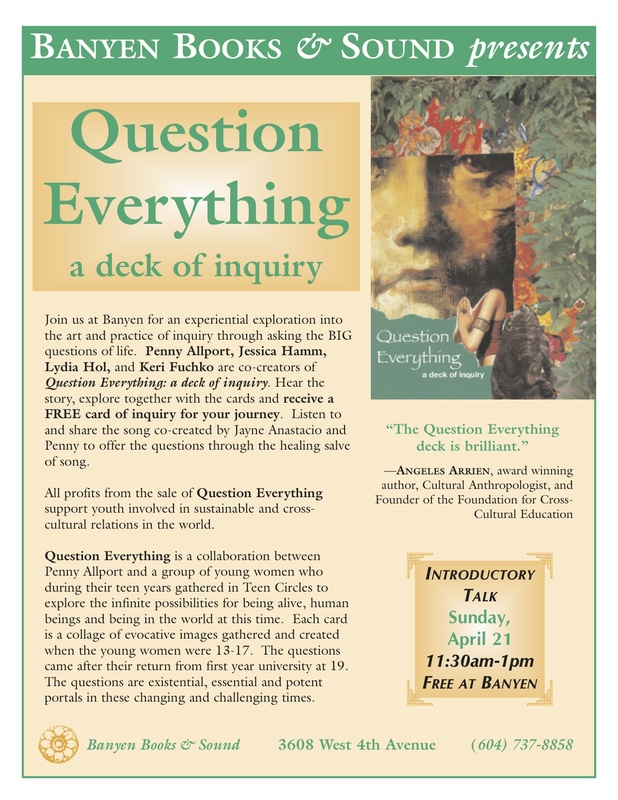 And, don’t forget we will be at Banyen Books on Sunday, April 21st, 11:30 – 1:00 p.m. for an experiential journey with Question Everything, a deck of inquiry. Lydia will be there singing a song written by Jayne Anastacio, using the questions of the card deck. We are hoping Jayne will join us too!! Tell your friends, and join us in this journey of inquiry. I loved Alain’s comment regarding my last post. Indeed we are the earth. The body, as garden has been a long journey of interest and inquiry for me. This co-creative organism we call “body” moves and is moved as the elements of earth, air, fire, water and space dance through the blood, bone and sinew, and yet we have in many ways disregarded the voice of the body, for forms, ideas of right doing and wrong doing, and objectified ideas of what the body is, how “it” should be moved and an over orientation to “it’s” purpose being the will of our mind. This “wonderful physical world for exploration” is kidnapped in many ways before we arrive into the world, in a culture that prefers to schedule, sanitize and medicalize (is that a word??) the birthing process. Fortunately there are many who are making a BIG inquiry here and listening into this passage in more organismically intelligent ways. Tending psyche and soma is no small act of inquiry. What if the practice of “awareness of being physical creatures in physical bodies” was of primary interest to parents, teachers and the culture at large from before the time we were born? What if listening to and with the body were seeded early in our experience? I had begun this blog when the attached came across my email. Perfect timing!! Do open and contribute to this movie, even just by passing it along to folks you know who may be interested. 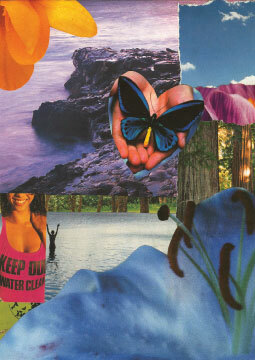 May The Moving Child be a resource and portal of inquiry for parents, educators and beings everywhere! Go Anna Kemble and Jacki Huntington!! I immediately was activated and said “perhaps we have let the body down?” through over- riding the body’s many signals to slow down, rest and listen, and by being hypnotized by a culture that encourages, applauds and awards our capacity to “push through” the signals, sounds and yes, cries of the earth body. John and I went out for dinner one time many years ago with a client of his from out of town, who was training for a triathlon. We couldn’t meet until 8 p.m. as the gentleman in question had to swim, cycle and then run, after his full day at work. We sat down and before the cheeks of our butts had landed in the chair he had ravenously grabbed a piece of bread from the bread basket on the table and tore a chunk with his canines, chewing ferociously and talking with his mouth full of wheat, eggs and milk – “i don’t know if i run so i can eat, or i eat so i can run.” he laughed. I sat listening most of the evening, to how his daughters had to run with him in the evenings if they “wanted time with their dad,” narration of his training schedule and times of races in many places. My grief grew as I held my lips and continued to listen. Near the end of the evening he suddenly turned to me and said “enough about me, what is it that you do?” I shared with him the inquiry of Continuum Movement www.continuummovement.com and www.continuummontage.com I was engaged in the early stages of – some seventeen years ago now, and an inquiry based Yoga practice that I shared with others. He paused and looked off at the lights in the harbor of False Creek where we sat waiting for him to finish his dessert. I almost lunged off the seat like a feral cat, claws engaged and teeth bared. Instead I sat back into the chair, felt it’s embrace, soothed the wild animal gnashing her teeth with awareness of breath, and listened for him to continue…. I soothed the wild one with a sip of water, and continued to listen, “and my sense is that I am driving the body, and you are listening to it.” he finished as he put the last piece of cheese cake in his mouth. We tend to listen to experts in the field of “sports and fitness” more to the sensations of the living body of creation we inhabit, which can quickly lead to competition and disembodiment as we strive, like many of us did in public school, in a “Fitness Test”to measure how many sit ups we can do in a minute, push ups and the 100 yard dash, as a measure of our “fitness level.” These become the “markers” of physical health and well being, over an embodied experience of the “wonderful physical world for exploration” we have been delivered into as human beings. I hear this “military” test is still around in the schools and shudder as we continue to deliver this message to our young ones, without the balance of inquiry based practices. May we question these old assumptions, which came through objectified models of relating to the body, movement and life. “After all the “fitness movement” actually came out of World War II training. Essentially, the modern fitness movement evolved out of the influence of World War II and subsequent development of the Cold War. The United States entered World War II with the bombing of Pearl Harbor on December 7, 1941. With the declaration of war came the necessity to draft military personnel. However, as more men were drafted, it became embarrassingly clear that many of them were not fit for combat. When the war was over, it was reported that nearly half of all draftees needed to be rejected or were given non-combat positions (20). These disturbing statistics helped gain the attention of the country with regards to the importance of fitness. Taken from The History of FItness, Lance C. Dalleck, M.S. and Len Kravitz, Ph.D. The key three words in this quote for me are “fit for combat.” When i listen into my living soma to these words, i feel my solar plexus tighten, and the urge to contract further as my feet curl in and the breath stops suddenly in my upper chest for a moment. After all these years it seems we are still training the body for “combat.” No wonder the wide spread interest in yoga and more embodied approaches to movement and embodied consciousness are growing as we QUESTION EVERYTHING about the objectification of the body, movement and life. No, I’m not suggesting we abolish fitness programs and sports, however I am suggesting we begin to include the practices of awareness and deep listening that will allow us to be co-creative beings on the earth, in the earth and with the earth. Listening to the sensations of life emerging in the garden of the body, is truly the most profound and simple practice of being here now. Sensations over wants, likes and dislikes. 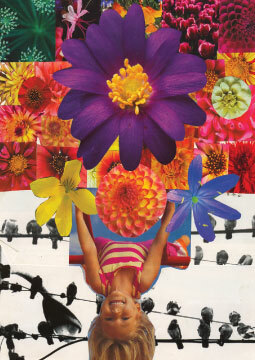 The power of now is in the embodied now. For just this moment as we together share a moment of awareness in the body, including the sensations of our butts on the chairs, feet meeting the floor, being breathed, receiving these words (thank you for having read this far~) what do you notice? May we bless the very flesh we have been gifted to experience this moment as a “physical creature in a physical body.” May we explore through the unfolding field of “somatic inquiry” seeds of the birthright of our human capacity to deeply “experience the wonderful physical world.” May we include the body in our practice of listening. If you want to deepen this inquiry further you can join Amy Kiara Ruth and I on April 6 & 7th, 2013 in Paradise Found where we share an inquiry based practice of listening and reconnecting to our evolutionary movement lineage. Who knows you may meet your own feral cat, waiting to be listened to!! go to www. pennyallport.com for details.